Workshop: The Creative Flow: How to Get it Fast! The Creative Flow- How to Get It Fast? What kinds of Solution-Focused approaches assist people to quickly relax, and to open the mind to visualizing many types of useful choice and change possibilities? What approaches get the creative juices flowing quickly? In this workshop we will demonstrate some strong Solution-Focused questioning approaches and how to use them with executives and their teams. We will explore eight areas of systemic Solution-Focused thinking that create highly useful organizational mindscapes to trigger both focus and vision. We will explore some easy ways to create a vision that builds on system thinking, different types of creative purpose, key points of view, and levels of detail, so that people meld credible maps. The work also ties into current brain research on neurotransmitters, vision, and futures thinking. 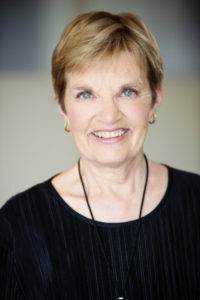 Marilyn Atkinson, Ph.D., founder of Erickson Coaching International and originator of an integrated Solution-Focused and Outcome-Oriented Coaching model, has actively contributed to the emergence and expansion of Solution-Focused Psychology for management and leadership development. As an Industrial Psychologist she honed solution-focused methods for multiple kinds of corporate engagements, making the tools effective and easy for managers to use. Marilyn has been a dedicated follower of Milton Erickson for years and gave his name to Erickson Coaching International. For the past eighteen years she has been developing both highly effective and specialized coach training programs (ICF ACTP-accredited The Art & Science of Coaching) which are currently being taught in 45 countries. A former Registered Organizational Psychologist, Marilyn is also an NLP Master Trainer and specialist in Ericksonian Communications. She began developing formal business coach training programs in the mid 1990s. Since then she has been helping to lead global companies and leaders through Solution-Focused and Outcome Oriented Coaching transformations. Marilyn has written and co-authored six books, including The Art & Science of Coaching Trilogy (Inner Dynamics of Coaching, Step-by-Step Coaching &The Flow of Coaching).